Provides all types of scales (sales/rentals), calibration and repair service in New Mexico, far West Texas and Northern Mexico. Portable Rental Truck Scale Available for Immediate Delivery! 35 and 70 FT long scale available! Sales- Our sales department can assist you with any kind of weighing application, from a standalone shipping scale to a sophisticated programmable weighing system capable of interfacing to a any peripheral device such as a printer, computer or network for process control and data transfer. We carry a complete line of industrial products from Lab Balances with resolutions from 1µg (microgram) to Truck and Railroad Scales with capacities of up to 400,000 LB as well as peripherals such as printers, scanners, remote displays and weighing/data collecting software. We are distributors for leading manufacturers of weighing solutions and turnkey integrated systems such as Weigh-Tronix, Ricelake, A&D, Setra, Intercomp, Cardinal, CAS and other quality scale equipment manufacturers. Service - Shearman-Pease Scale Systems service department has the largest service fleet in the area. We are the only local company with two certified test trucks, our combined service experience of more than 100 years can offer you quick and reliable calibration and repair services on any type of scale or scale system. Our exclusive distributorship programs allows us to have access to any kind of scale replacement part. All calibration work is traceable to NIST and meets or exceeds Handbook 44 requirements. Rentals - When you need a scale for a short period of time or for all your physical inventory needs we offer short term rentals on "weighing scales", counting scales, bench scales, floor scales and other specialized scale equipment. 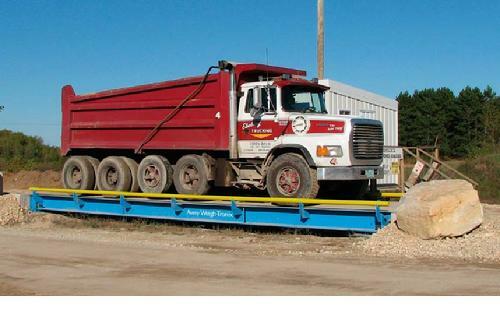 We are the only scale company in the area to offer rental portable truck scales. Let us give you a proposal on your next physical inventory rental scale order. Let us show you the best weigh!